As usual, it has been far too long since I've posted anything from my point of view (some of you might call that a blessing . . . ;)). But all joking aside, the reason I've been so neglectful of late is because I have just recently finished and released a brand new book. No, it isn't the fourth book in my Oescienne series (which still needs a title and whose completion will be one of my summer goals). The book I'm talking about is titled Faelorehn and it is the first novel in my new, paranormal/supernatural, young adult urban fantasy series named the Otherworld Trilogy. Now you might wonder at my title choice for this post; my suggestion that publishing a new book might be scary. Well, there are a few reasons why launching this book made me a bit more nervous than publishing my last three (all of which were in the Oescienne series). However, am I also very excited about this new book? Absolutely! I can't wait to get feedback from my readers, and I'm eager to work on getting the second book ready for publication (just need to edit it ;)), but in the back of my mind and in the pit of my stomach, I know I've got a mild case of New Author Jitters going on. 1.) The Otherworld Trilogy is a brand-new, never been tested series . . .
Was I nervous and terrified when I published The Finding (Book One in the Legend of Oescienne series)? Of course! I had no idea how readers would react to my book. Would they love it? Hate it? Not even read a sample of it? It is natural for any indie author, I think, to be at least a little bit unsure when releasing their first book into the world. I am more comfortable now with releasing the subsequent Oescienne books because I now know that my readers are looking forward to them. Despite the experience I've gained over the years with regards to self-publishing (I am no novice, but I am by no means an expert either), I still felt that flutter of uncertainty when I clicked that submit button for Faelorehn on my epublishing sites. It is a whole new world of unknown characters, plot twists and concepts. I'll be nervously tapping my foot and drumming my fingers on my desk until I get some feedback from those who have been so kind as to give my book a chance. 2.) Faelorehn falls under a very different genre and setting than my other books . . . Okay, okay, I'm stretching it a little with that one . . . but not by too much. The Oescienne books and the Otherworld Trilogy are both fantasy series, they both feature a female protagonist, and they both contain Celtic elements (with the Otherworld Trilogy it is much more obvious; with Oescienne it is more subtle). The Otherworld series is different in that where the Oescienne books are middle-grade, epic fantasy, Faelorehn is a young adult, paranormal/supernatural urban fantasy. Also, where my Oescienne books are well over 100,000 words each, Faelorehn screeches to a halt right around 70,000 words. 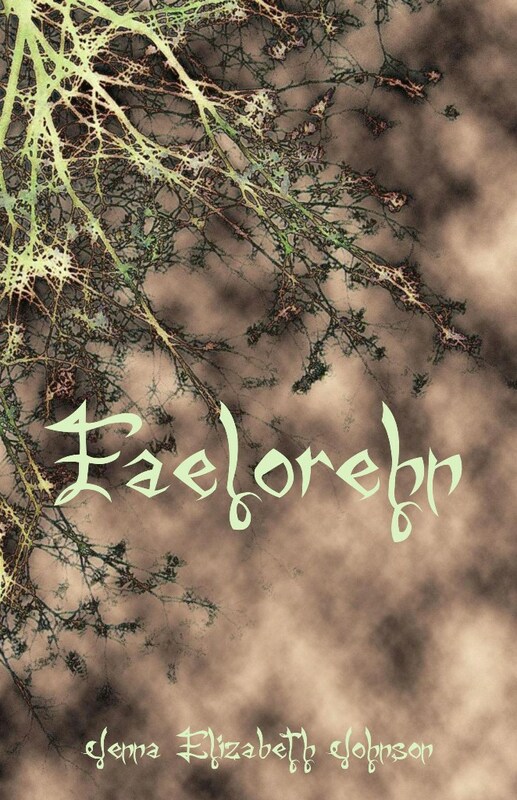 Finally, the main setting for Faelorehn is in this world, in modern times, and only towards the end of the book do we get a sense of another, Otherworldly setting. As you can see, I'm testing new grounds here, so yes, I'm a wee bit antsy. 3.) Faelorehn was written from an entirely different perspective than the Oescienne series . . . I saved this one for last because, in my opinion, it is the most dominant factor that sets Faelorehn apart from my other books. I've written, and plan to keep writing, the Oescienne books from the third person perspective. Faelorehn, and all the Otherworld Trilogy books, are written from a first person point of view. I am a big fan of third person: I find it easier to write in and I believe the reader can get a sense of what other characters are thinking and feeling. However, Faelorehn, and I should really say Meghan's story (after all, she is my protagonist and she is the one telling it), came to me in first person point of view. Why should this make me nervous? Well, like I said above, I've never tested this perspective out before. Why not just switch it to third person then? A few reasons, actually. First, I tried to change the story from first to third person, but it just wasn't having the same delivery (and it was even suggested that I try reverting to my third person ways by a friend). I struggled with it for about a month, but it just didn't seem right to me. And secondly, I kind of relish the challenge of writing in first person. My book has only been live for a week now, so it is far too soon to discover if I've succeeded or not; time will tell. But I'm hoping that even if my first person perspective falls short of my third person skills, the story will still shine through. Perhaps my fears are unfounded and irrational (actually, I'm sure that they are :)), and despite all my misgivings, I am one hundred percent happy with Meghan's story and where she has taken me. After the Otherworld Trilogy is complete, I'd like to work on some future books that tell the story of the characters from Faelorehn and the next two books in the series. For the time being, I can see those ones being written in third person. Is it because I am uncomfortable with writing in first person? Nope, I think I'm starting to like it actually. The truth then? Meghan's story just wanted to be told from her perspective. As an author, I don't always feel absolutely in control of the stories; I'm the vessel from which the words pour forth. In this case, I get to live through my character as opposed to tagging along for the ride. That being said, I hope you take a moment to check out Faelorehn. You can visit The Otherworld Trilogy here on my site and read the first chapter and the blurb, or you can download a sample at amazon.com or smashwords.com as well. Until next time, happy reading! Thanks for the encouragement Lindsay! I'm sure I'll always be somewhat nervous each time I launch a new series or book (I had better get used to it, though; I've got lots of different projects planned :P). Faelorehn is still very young, so I think I just need to give it some time ;). Happy writing!